The 7amleh center (The Arab Center for the Advancement of Social Media) recently released a report, documenting the extent of Israeli control of Palestinian ICT (information and communications technology) infrastructure in the occupied Palestinian territories. This control dates back to when the Israeli military occupation of these territories began in 1967. It has had a very detrimental impact on the building and development of independent Palestinian ICT infrastructure. It has also enabled Israel to conduct mass surveillance of Palestinians and restrict their digital rights, including the rights of internet security, privacy and freedom of expression. The report chronicles in detail the various Israeli restrictions imposed on Palestinian ICT infrastructure and how they adversely affect Palestinians’ digital rights. By conducting mass surveillance on Palestinians and by monitoring Palestinian content online on social media and other websites, Israel violates a vast range of human rights of the Palestinians, which as the occupying power, it is bound by international law to preserve. The report also calls upon all kinds of social media and ICT companies engaged in business with Israel to ensure that their operations in the occupied territories do not violate Palestinians’ human rights. It also urges “third party states to not have policies that recognize or support unlawful Israeli violations of Palestinian rights. Tracing back the Israeli control of Palestinian ICT infrastructure to when its military occupation began in 1967, the report notes the changes that took place in 1995, as a result of the Oslo Accords signed between the Palestinian Liberation Organisation (PLO) and Israel in 1993. The occupied West Bank was divided into three different areas, Area A (18% of the West Bank under full Palestinian authority (PA) control), Area B (22%, under PA civil control and joint Palestinian-Israel security control) and Area C (60%, under full Israeli control). Partial control of the ICT infrastructure was transferred to the PA in the West Bank and Gaza strip, but Israel retained control of the ICT infrastructure in East Jerusalem. No Palestinian telecommunications provider is allowed to operate and provide services in East Jerusalem, even though Israel illegally annexed it following the 1967 war and it is considered occupied territory under International law. Israel has continued to delay and refuse advanced technologies in the telecommunications sector to Palestinian telecommunication operators, harming Palestinian economic growth. This has also undeservedly worked in favour of Israeli operators, who benefit by increasing the number of customers they have in the West Bank, East Jerusalem and Gaza. The Palestinian ministry of Telecommunications and Information Technologies (MTIT) requested Israel to release more frequencies in 2000 in order to allow a second Palestinian mobile operator, Wataniya, to enter the market, after Jawwal, which had been operating in the West Bank and Gaza since 1998, but Israel continued to delay the release of frequencies. As a result, in 2007, the MTIT allowed Wataniya to operate without the available frequencies by issuing it 2G and 3G mobile licenses. When Israel did release more frequencies, they were not for the exclusive use of Wataniya, but could also be used by Israeli operators. Wataniya finally started operating in the West Bank in November 2009, and in 2017 in the Gaza strip. Palestinians still don’t have access to the faster LTE and 4G technologies, even though they are already available in Israel. The MTIT has been waiting for the past six years for Israel to fulfill its request for 4G. Israel has also tightly restricted the building, development and importing of the latest ICT technologies and necessary equipment, requiring Palestinian operators to obtain permits before building any new infrastructure in the West Bank. They also impose harsh restrictions on Palestinian mobile, fixed telecommunications and internet providers seeking to import newer telecom equipment. This ends up making Palestinian networks unstable and unreliable, and diverts customers to Israeli operators. Israeli operators, by some estimates, have about 20-40% of the Palestinian telecommunications market share, which is a direct result of the Israel’s control and restrictions on Palestinian ICT. Israeli operators not only don’t have to face these restrictions, but also maintain equipment and property in privately owned Palestinian land in Area C of the West Bank, a war crime under international law, just like the illegal Israeli settlements in occupied West Bank. The Israeli control and restrictions on Palestinian ICT also inflicts severe financial losses to the Palestinian ICT sector, with the World Bank estimating a loss of between 1.2% to 3% of Palestinian GDP between 2013 to 2015. The World Bank also reported that the total losses for Palestinian operators as a result of the absence of 3G technology was between $339 million to $742 million during the same period. 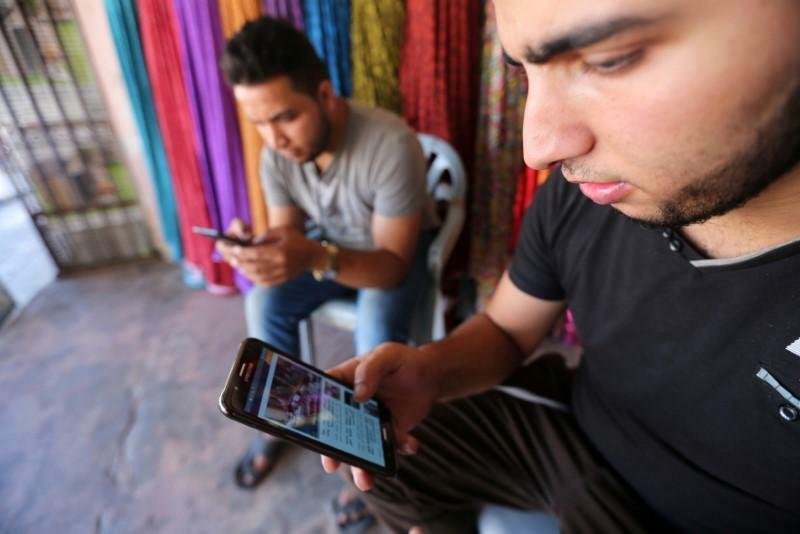 Only Palestinians in the West Bank now have access to 3G, with those in Gaza only allowed to use 2G services. The report dwells on the abuse and violation of the digital rights of Palestinians. Israel’s control of Palestinian ICT includes the control of the flow of information from the users through the various communication channels such as cell phone companies, internet providers etc. This allows them to easily access personal information of Palestinians, monitor users, block, delete or remove content, which are clear violations of their right to access the internet, right to privacy, and the right to freedom of expression. Israel has engaged in illegal and nefarious activities such as removing content and arresting of journalists, activists, human rights defenders, and children. In October 2017, a Palestinian worker was arrested for posting “good morning” in Arabic on his Facebook account, after it was mistakenly translated by Facebook’s automatic translation system as “attack them” in Hebrew and “hurt them” in English. In January 2018, the mother of Ahed Tamimi, the Israeli teenager arrested for slapping and pushing Israeli soldiers who had illegally entered her home, Manal Tamimi, was charged with incitement for live streaming a video of the incident on her Facebook account. She eventually served eight months in an Israeli prison and had to pay 5000 new Israeli shekels ($139) as a fine. Israel’s control of Gaza’s ICT infrastructure and technologies is massively overreaching and absolutist. Israel has the power to interrupt and/or disrupt the lives of the Palestinians in Gaza at any time. For example, during Israel’s military invasions of Gaza, the military sent threatening and intimidating text messages and recorded messages to cellphones and landlines in Gaza, warning them of imminent missiles or drone strikes. In the 2008-09 invasion of Gaza, the Israeli army sent over 10,000 automated phone calls and text messages to Palestinians in Gaza in what were supposed to be warning messages, but in the absence of ample time being given to them for evacuating buildings before the attacks took places, those phone calls and text messages were in effect converted into death knells. On top of killing thousands of innocent civilians, the Israeli attacks also caused huge damage to the ICT infrastructure in Gaza, shutting down communications and inflicting massive financial losses on Palestinian operators. The report also highlights the help given to Israel by social media companies like Facebook, Twitter, and YouTube in censoring, blocking and deleting content online. 85% of the Israeli government’s requests to remove content deemed “dangerous or hurtful” were accepted in 2017. In 2016, Israel requested these companies to remove 2,250 posts or social media messages on their various platforms. Facebook has revealed the gradually increasing number of Israel requests over the years – 343 in 2014, 468 in 2015, 710 in 2016, and 837 in 2017. In May 2018, the official Facebook page of the Safa news agency of Palestine was abruptly shut down without any explanation and 14 other related accounts of managers and editors working for the agency were also terminated. A Palestinian prisoners studies center report has stated that between October 2015 and October 2018, 500 Palestinians, including children, have been arrested by Israel on charges of incitement on social media, especially Facebook. Under the garb of security, Israel is continuously restricting and denying Palestinians their freedom of speech and expression. The 7amleh center asserts that Israeli restrictions on the Palestinian ICT sector and infrastructure are an extension of the overall Israeli occupation, in order to humiliate and brutalize the Palestinian even furthers, and to make them feel even more helpless and powerless, by taking away the internet, their privacy, and their freedom of expression. It has also made both the Palestinian civilians and Palestinian ICT companies heavily dependent on Israeli operators and the Israeli government. At the same time, it has hurt the prospects of increased economic and infrastructural growth of the Palestinian economy. Hey Buddy!, I found this information for you: "“Israel completely controls Palestinian ICT sector, violates Palestinians’ digital rights”". Here is the website link: https://peoplesdispatch.org/2019/02/03/israel-completely-controls-palestinian-ict-sector-violates-palestinians-digital-rights/. Thank you.